A smile can really affect the way you look that even tiny changes can make a big difference in the way you look and the way you feel. 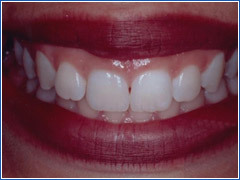 Cosmetic Dentistry is our solution for you to have the perfect smile you have always dreamed of having. 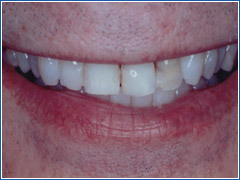 With the combination of art and the latest technology in dental science, it is now possible for us here at East Gosford Dentist to enhance the aesthetics and functional nature of your smile. 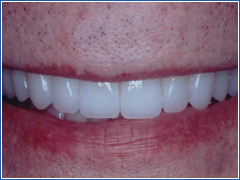 East Gosford Dentist Veneers can be used to improve a wide variety of cosmetic dental problems. 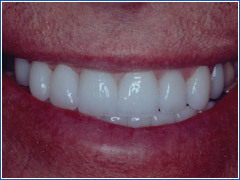 They can whiten stained or discoloured teeth, close gaps between teeth, "correct" a crooked smile without the need for braces, repair chips and imperfections, and create a more attractive or youthful looking smile. 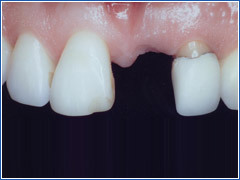 The procedure usually involves removing only a thin amount of the outermost layer of the tooth, called the enamel. 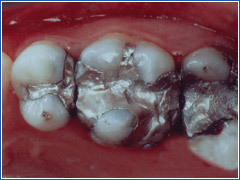 The dentist then takes moulds of the mouth. 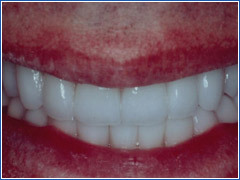 Temporary veneers are then placed for the patient to wear while the permanent veneers are being made. 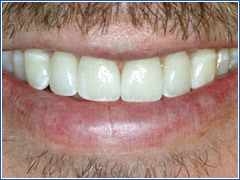 The procedure usually takes between one and a half and two hours. 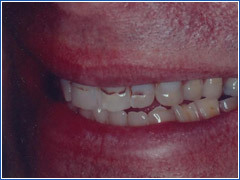 East Gosford Dentist Dental Implants: The loss of a tooth can be very devastating. 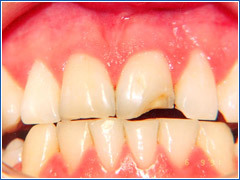 It doesn’t only affect the way you look, but will also cause other changes in the body, which include altered speaking and dietary habits, incapability of the teeth to perform its natural functions, place strain on remaining teeth, and also weaken the jawbone. 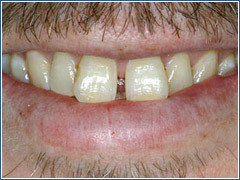 Through our Dental Implant procedure, we can fix these issues. 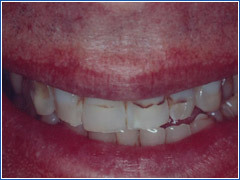 East Gosford Dentist Teeth Whitening: Smoking, drinking red wine and coffee stains all affect our teeth. 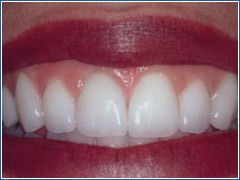 If your teeth are lacking their lustre, then tooth whitening is definitely the solution. With ZOOM! 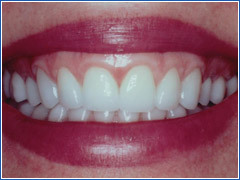 tooth whitening treatment, we can literally give you a new life with a brighter, whiter smile. 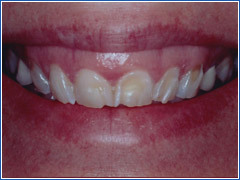 East Gosford Dentist Smile Makeovers: With Smile Makeovers, the latest treatments and techniques in Cosmetic Dentistry can enhance the overall appearance and function of your smile. 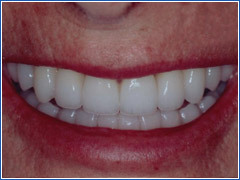 Smile Makeovers can take away years from your appearance, as well as the way you feel. 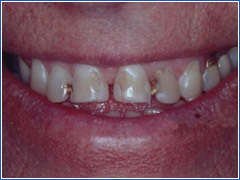 East Gosford Dentist Orthodontics: Advancement in dental technology means ugly metal braces are now a thing of the past. 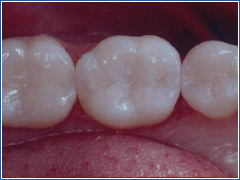 Here at East Gosford Dentist, we offer only the latest and the best dental treatments in Orthodontics. 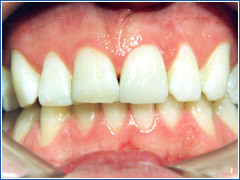 The East Gosford Dentist understands the importance of having a set of beautiful teeth. 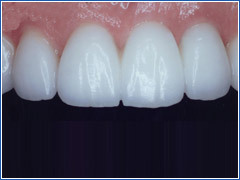 However, we also make it a point that we create aesthetically beautiful teeth for our clients without sacrificing the total health of your mouth. 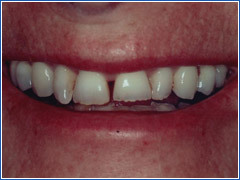 Whether you just need to get a chipped tooth repaired or you need a total smile makeover, the highly qualified dental professionals here at East Gosford Dentist will be here to help. 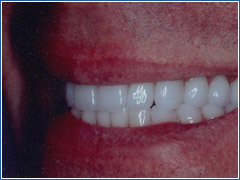 If you want to have a great looking smile that will last a lifetime, please don’t hesitate to contact us. Our team will be more than happy to help you with any questions you may have. 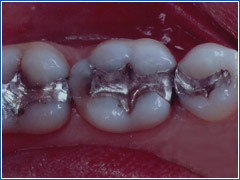 Contact us today for a consultation. 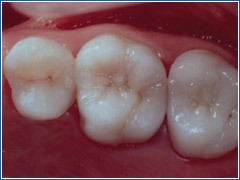 With East Gosford Dentist, you can be sure that you are in good hands.